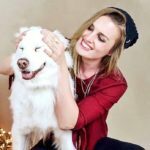 There are hundreds of dog food types and brands out there, and if you ask around for what is best – you are likely to hear just as many (or more) opinions from dog lovers, experts, and self-proclaimed experts. 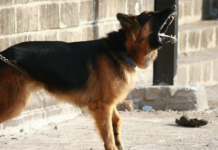 Everybody wants to have their say when it comes to the best food to feed our German Shepherds, and it can get confusing for a new GSD owner who is just trying to do what is best for their own furry friend. Raw dog food is one of the dog food alternatives available for German Shepherds, and you can choose to make your own or purchase it from trusted sellers. It is not the right alternative for every dog; as all dogs are different, but some owners report a remarkable change in their German Shepherds after making the switch. Is raw food right for you and your dog? Let’s find out! Raw dog food diets go by many names and can be made in different ways, but one of the most common varieties is the so-called BARF. 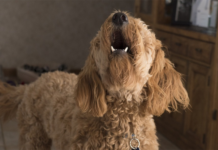 BARF is an acronym that stands for either Bones and Raw Food or Biologically Appropriate Raw Food, and it is the practice of feeding a precise mix of real food to-dos, rather than kibble or wet food. Raw food is a great dog food option for GSD’s, and it is based on the idea that dogs are carnivores (most dog food companies will argue that they are omnivores), and that while dogs can learn to eat vegetables and enjoy it, it is not something they seem to do in the wild. The BARF diet takes dog nutrition back to basics, and to what supposedly is closer to what they would have eaten if us humans had not domesticated them. It is a carefully measured mix of meat, organs, and vegetables, that you can buy pre-packed or make yourself. BARF, as we know it today, was first heard of in 1993, when the concept was highlighted by the Australian veterinarian Ian Billinghurst and has since then gained popularity all over the world. 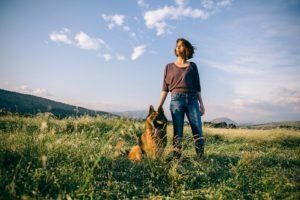 The German Shepherd community has also discovered the many benefits of feeding a raw diet rather than store-bought kibble or wet food, and it is not too surprising considering how much energy a German Shepherd needs for their bodies to function properly. It is a highly intelligent dog with a need for physical and mental activation, and the best way to set your GSD up for success, and to help him/her reach full potential, is by feeding a quality diet that sees to their specific nutritional needs. There is only so much kibble can do, and owners are reporting positive change after switching diets. 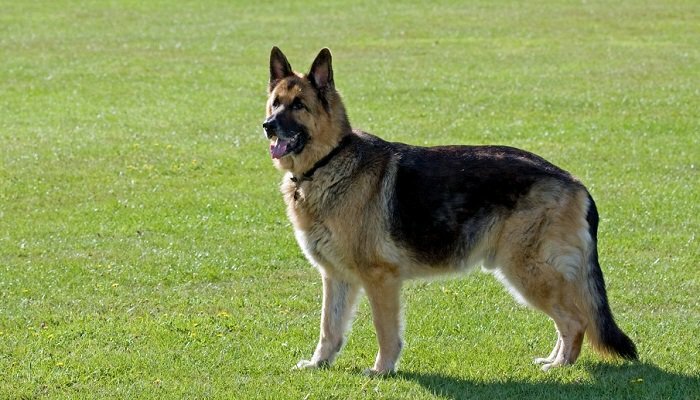 One of the biggest benefits is that you know exactly what your German Shepherd eats, and how much of each ingredient that goes into making their meals. There are no fillers or additives that you can barely pronounce the name of, and you never have to worry about what is good for dogs and what isn’t, since the content of a properly prepared BARF meal is very straight-forward. The same applies both when you make it yourself and when you buy it made since the recipes are similar or the same. German Shepherds are prone to some food allergies and skin problems, and for these dogs – a raw diet can be the answer! If homemade, you have complete control of what is put in the food, and you can choose to leave out for example chicken, which is known to cause allergies in some dogs. 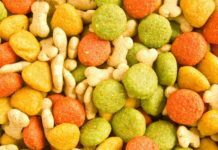 There is no longer a need to scout the pet stores for kibble types that suit your dog’s specific dietary needs, but instead, you simply modify the food they are already eating. Beneficial effects after changing to a raw diet are reportedly a shinier coat, healthier skin, firmer and smaller stool, and better oral health. This is most clearly seen in cases where a GSD owner switches from a low-quality food brand and to a raw diet, but some change has also been reported in dogs that go from eating a high-quality grain-free kibble and to starting a BARF diet. These types of benefits are individual, and it may vary from dog to dog. Just like humans; not all dogs thrive on the same type of food and nutrients, so if this is something you would like to put your German Shepherds on – you will simply have to wait and see if it works for them. Time may be an issue for some German Shepherd owners, as a BARF diet requires a bit more effort than feeding dry food or wet food out of a can. While you may be used to just scooping up food for your pup – BARF does require some preparation. If making your own raw dog food, it is obvious why it might be more time consuming than feeding traditional dog food; as you would have to hit the store to buy ingredients, then make it, freeze it, and heat it up before every meal. You could also make every meal fresh, but that would require even more of your time. Buying pre-made raw food still requires it to be heated up, but it could save a GSD owner sometime. The downside to that is that it is likely to be more expensive than to make your own BARF from scratch – putting you in a position where you need to choose if time or what is in your wallet matters the most to you. It is a personal choice, and one only you can make. A raw diet also comes with a need for a spacious fridge, as you need to have somewhere to store the portions. 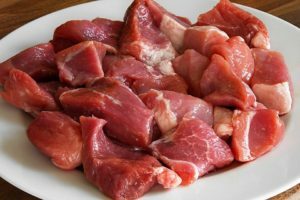 This could be a drawback for German Shepherd owners with a smaller fridge or with reduced space overall, and it is important to consider this when trying to figure out if the raw dog food is the best option for your dog and for your family. 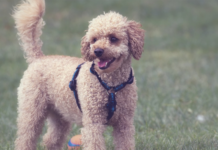 Feeding raw food may not be the most convenient option for families and dog owners that travel a lot with their dog, as it is more difficult (yet not impossible) to transport, compared to kibble. If you think that your German Shepherd might benefit from being fed raw food instead of traditional (wet and/or dry) dog food, then there is nothing that is stopping you from giving it a try. 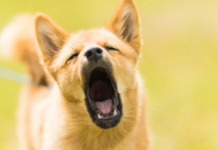 BARF and other raw varieties are proven to be healthy, safe and beneficial for many dogs; and while there are exceptions (some dogs seem to do better when fed kibble) – you won’t know for sure unless you try. Always consult a veterinarian before making a drastic dietary change for your GSD, to discuss potential draw-backs, underlying health issues and more, and be meticulous if deciding to make your own raw food, as it is crucial to follow a trustable recipe. Feeding raw food to a dog is so much more than just putting meat and veggies in a bowl, and failing to feed the right amounts of each ingredient could be harmful to your pup, as he or she could miss out on essential nutrients.